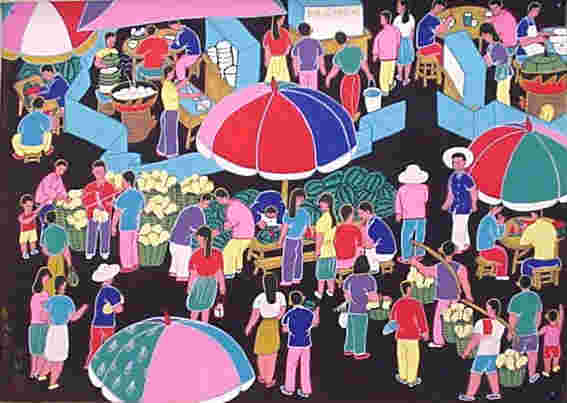 Remember the last time you took a stroll at a busy market? I agree, the experience is not for everybody- an acquired taste definitely. However, my research these past few weeks have helped me uncover one surprising truth- the seemingly overworked, always on the edge hawkers and shopkeepers, they actually ‘like’ this experience. As part of a very respectable b2b portal, it’s my job to understand the mentality of our target audience- the startups, SMEs, the bulk dealers. It’s my aim to understand their business from an arbitrary position and educate them about the global b2b marketplace concept and the benefits of setting up an online trading profile on a good b2b portal. Sounds easy? It isn’t. An average trader is a very busy individual. And seemingly, most of them are very comfortable with their current modus operandi and don’t want to indulge in something as ‘complicated’ as an ‘Online b2b profile’ on a business directory or b2b portal. Can the limitless benefits of the b2b marketplace- worldwide reach, reliability and cost effectiveness compete against the conventional methods of doing business? Yes, it can. A simple laptop and a hard earned minute of my target trader’s undivided attention gave me this answer. Doing business on a b2b portal is simple. The brains behind these systems- b2b marketplace and that resourceful online business directory have configured them to appeal to the most discerning critic, to adapt to the most expectant promotional and trading demands. The learning curve is pretty simple and anybody with wilful interest can learn the ropes of the b2b marketplace in a short while and unearth for themselves a powerful medium to promote their business. Afterall, this is the digital age- anything that cannot adapt to its shifting tides is quickly made obsolete. Thus, with a little one-on-one interaction, I was able to inspire a bunch of traders at the market to sign up with our powerful, yet surprisingly flexible b2b marketplace service. There, alongside their robust conventional business option is now an online trading profile- churning up reliable business leads from across the world, bringing in a buyer or a source of raw materials through the b2b portal. Of course, a little personal attention to the profile is a prerequisite, yet that is not a big consideration for a hard worker who is assured rich rewards in return for all the attention. And that ‘experience’ at the busy marketplace? I recall asking an older gentleman, a dealer in exotic spices, if he would prefer a more relaxed mode of conducting his business. Pat was the reply, “…and not be able to smell my money after I have made my sale? What’s the fun in that?”. With the most profound apologies, if you revel in the idea of actually feeling, seeing and smelling your monies, the b2b marketplace might not be your idealistic answer. Thus, another milestone sighted on my learning curve.